We stopped at Legend Larry’s in Sheboygan, Wisconsin, where we had the pleasure of trying out their Bloody Mary, which is made with a mix that was new to us. 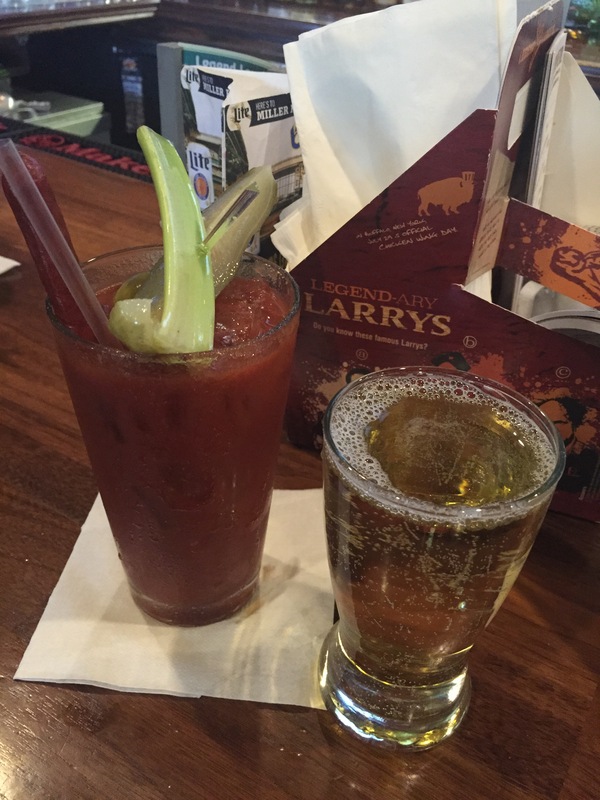 The Bloody Mary at Larry’s is made with Remedy Bloody Mary mix, made locally in Holmen, Wisconsin. CHASER: Pick your poison! We chose to try their Pear Cider on this visit. Apparently, Larry’s is known for their chicken wings, which we did not get to sample on our visit. 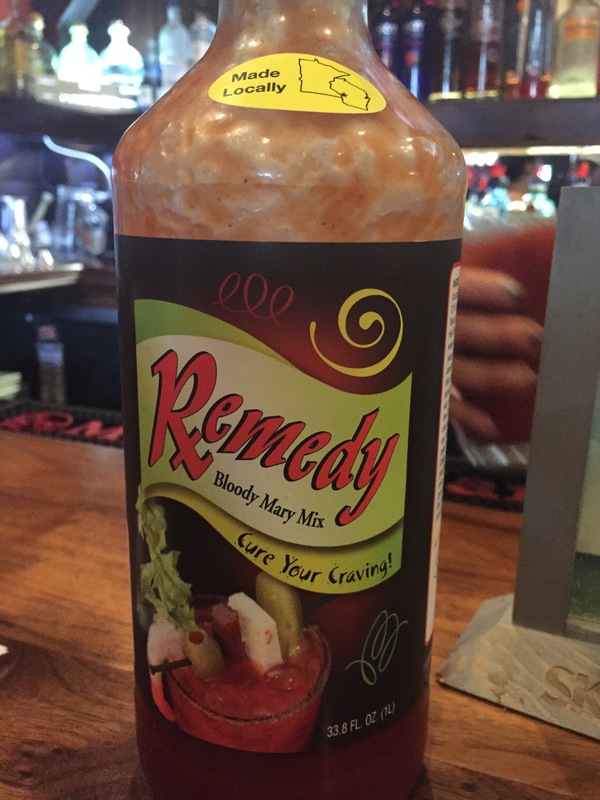 The Bloody Mary was decent and Remedy’s mix was flavorful enough to stand on its own–as their site says: “No doctoring required.” We always appreciate a beefstick in our beverage as well.